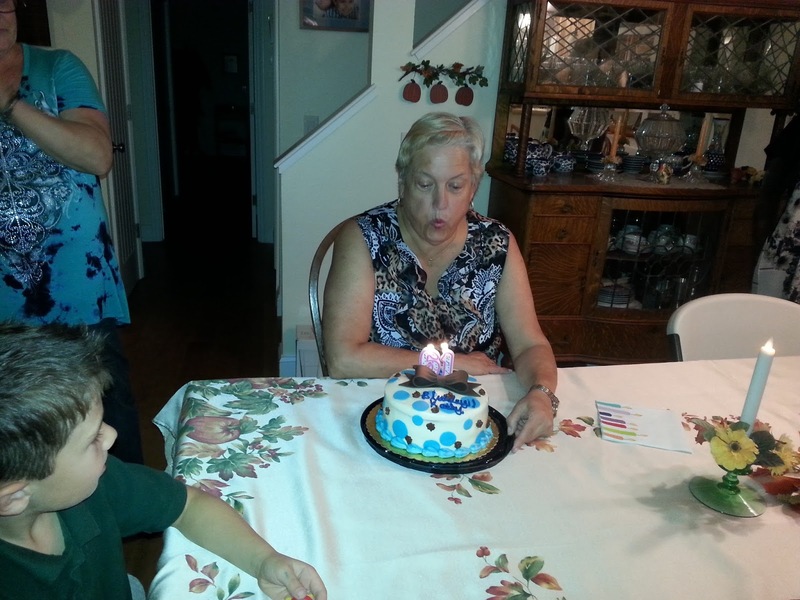 We flew home to Santa Rosa on the 24th of September and on the 25th it was my 61st birthday! We had lunch at Rotary Club in Sebastopol to thank them for all their support. That night we had a family dinner with 13 of my relatives at a wonderful steak restaurant in Santa Rosa. We went for cake and presents at my brother Dennis and sister-in-law Kathy's house where Major is staying. Saturday Major spoke at a men's breakfast at Sebastopol Christian Church, my home church. We then spoke together for church services on Saturday night and 2 services on Sunday. 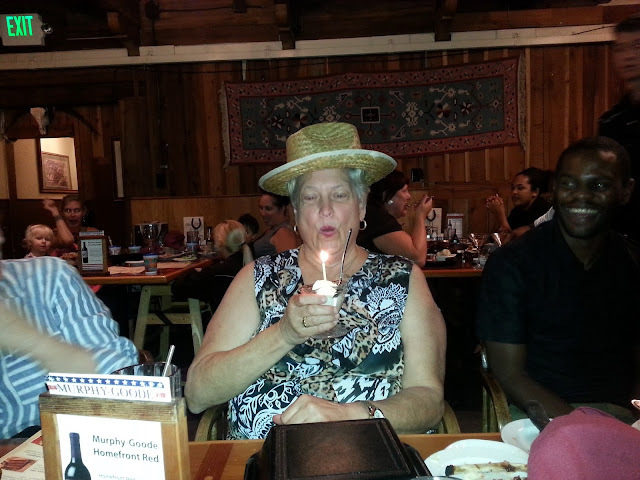 After church my forwarding agents, took Major and me out to lunch to again celebrate my birthday. I had a lovely shrimp dinner to celebrate! Monday Sylvia and Major and I drove to Reno with my brother Dennis and sister-in-law Kathy to visit my brother-in-law Mike who lives in Reno, Nevada. I had not seen him since my sister Carol died in 2012. It was a sad reunion but also lots of laughs and good memories. We spent 2 nights there and then drove home. We got home in time to trade cars and go to a surprise party put on by the missions committee at Sebastopol Christian Church. They invited several people who had been to Chidamoyo and had a wonderful BBQ for me and a birthday party with more cake! It was great to visit with so many familiar faces. 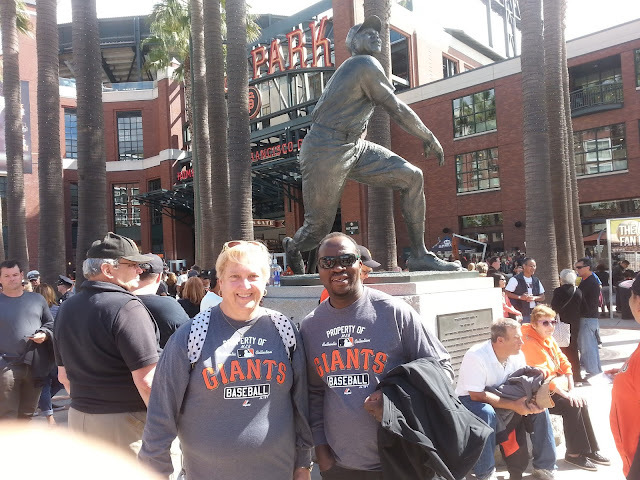 Thursday we continued my birthday celebrations when Patty and Gary LeDonne from Sebastopol, Chidamoyo board members and alumni, took us to see a San Francisco Giants baseball game. We played against their rivals the Los Angeles Dodgers. We lost 3-2, but it was a beautiful sunny and warm day in San Francisco and a wonderful time! While at the game we found out another friend from Roseville, CA had come to the same game and we met up with Rose Cobion--another Chidamoyo alumni when she came over to our seats during the game! We continue to visit with friends and family and on Monday start our next 3 weeks on the road. So sometime we need to find to pack-ha! This weekend we are with Westview church in Santa Rosa. 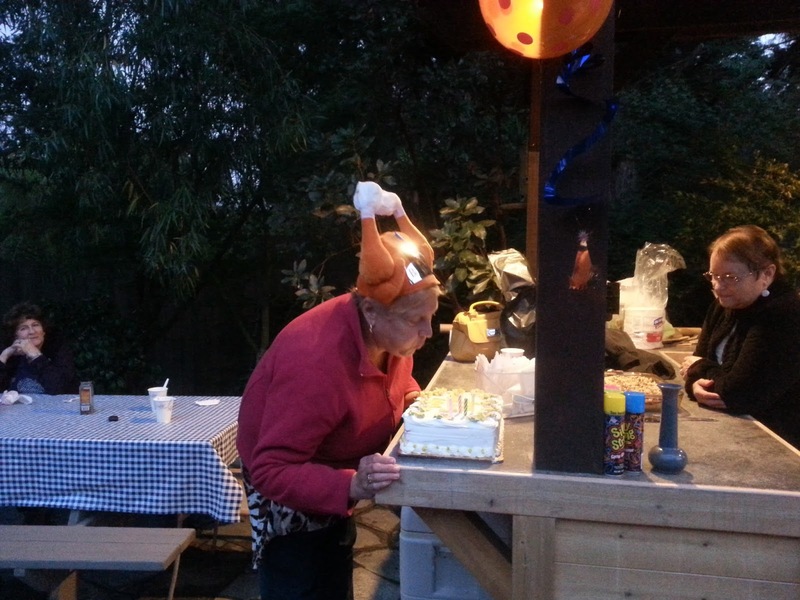 Another birthday cake in Sebastopol with church--notice the Turkey BD hat!